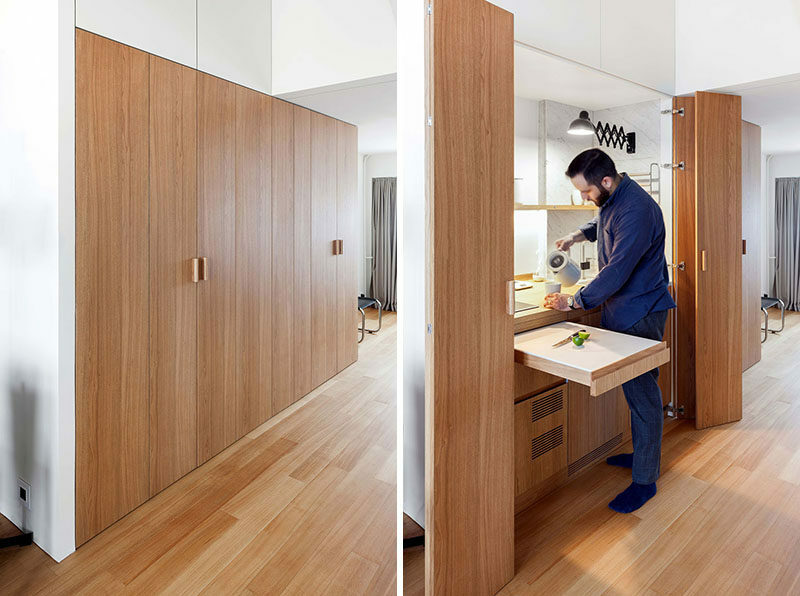 When Studio Bazi were designing this small 355 square foot (33 sqm) apartment in Moscow, Russia, they decided to hide the kitchen and laundry within a closet between the living room and the bedroom. 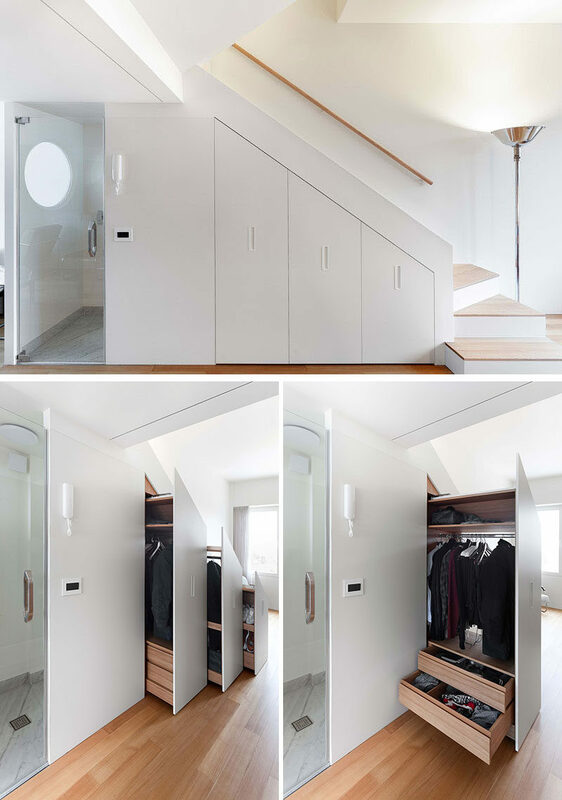 The oak closet was custom-designed with different uses in mind. On one side, there’s a small kitchen, and on the other side, there’s a laundry area. In the kitchen, there’s there’s a vegetable unit with ventilation, plate holder, pullout table, and refrigerator. In the laundry, there’s a washing machine, and storage space for cleaning and laundry accessories. 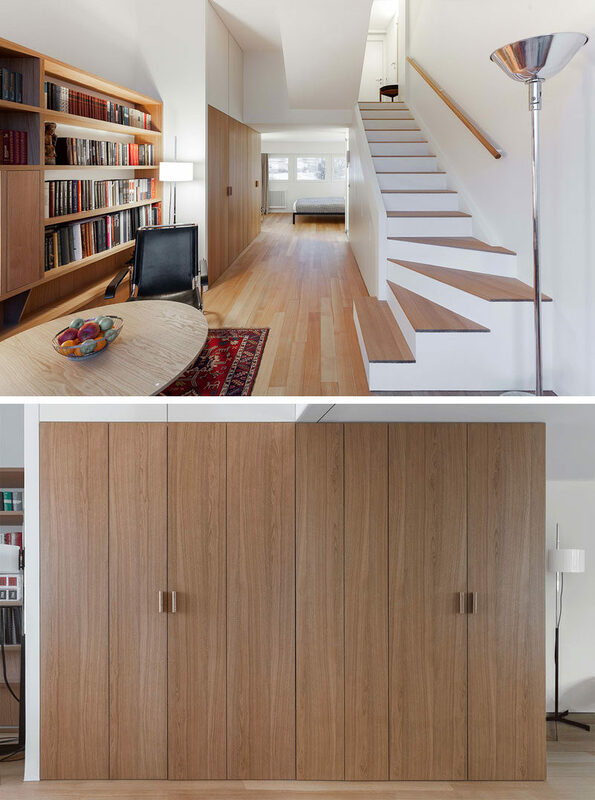 Not only did the designers hide the kitchen and laundry, they also hid storage beneath the stairs. 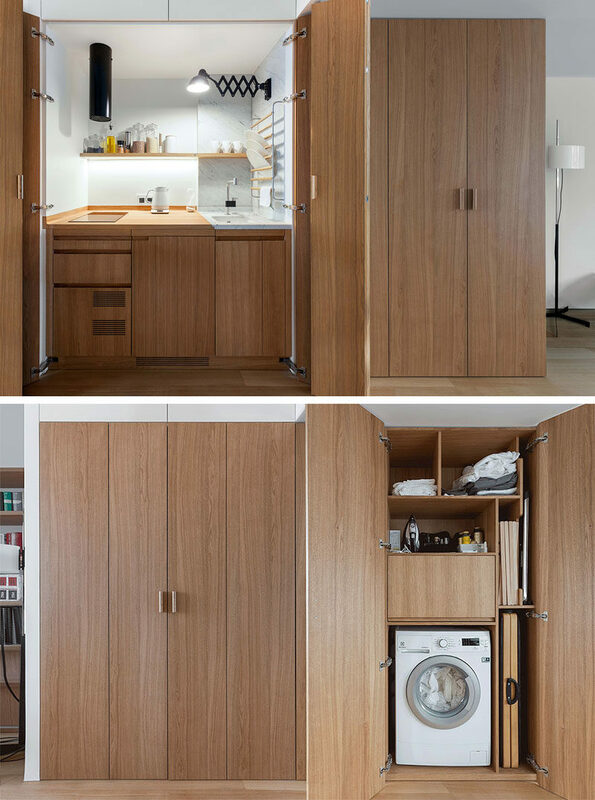 The minimalist white cabinetry opens to reveal three closets of different sizes, that each have a bar for hanging clothes or a rack for shoes, and drawers for folded clothing items.